This is a CD reissue of Bert Kaempfert's final album (recorded during a television appearance) but with tracks excluded from the original Lp. Special thanks to Heiner Scholling and Ossi Drechsler: without you this project would never have been realized. Bert Kaempfert went on tour in November 1979, giving fourteen concerts before packed houses in Germany, Luxembourg and Switzerland. In addition to his orchestra, its outstanding soloists and the Botho Lucas Choir, Bert Kaempfert invited the eminently likeable Swedish singer Slyvia Vrethammar to join them as guest star. Not only did this exceptional jazz vocalist perform his compositions in precisely the way he had envisaged but so successful was the tour that it would be continued in England the following June. This had all been preceded by a televised public concert which, produced by Hessen Radio, was given on 20 June of that year in Neu-Isenburg’s Hugenottenhalle and which, on Easter Sunday 1980, was then broadcast by ARD in a version edited down to sixty minutes. 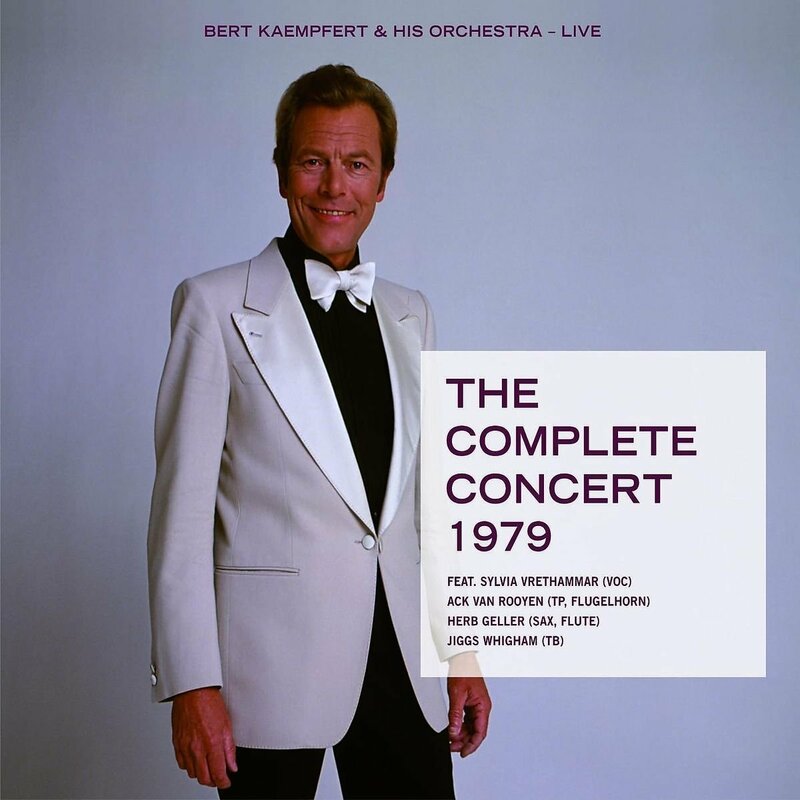 Bert Kaempfert saw this television production as an opportunity to bring out an LP for the tour with a selection of twelve items from the concert programme, yet this now historic recording of the concert was never processed and released in its entirety. And so Peter Klemt, who as sound engineer worked with Bert Kaempfert for more than 20 years recording all his productions, once again took up his place at the mixing console. So that, at long last, the full-length version of “The Concert Highlight of The Year,” as it was hailed by the press of the day, is available for the very first time, with the musical items following the selfsame sequence that Bert Kaempfert devised for the concert. And, last but not least, 2008 will be the 85th anniversary of Bert Kaempfert’s birthday on 16 October, and it is to this fabulous musician and all his loyal fans that the present recording is dedicated. Bert Kaempfert’s great breakthrough came in 1960 with his No. 1 hit in the USA, Wonderland By Night, which went on to conquer the world. He was the first German bandleader to be awarded a gold record in the USA. DJs in the American music magazine Cash Box voted his orchestra “Band of The Future.” In 1968 Bert Kaempfert won no less than five of the annual BMI awards in New York in the category “Most Played Compositions” for Lady, Spanish Eyes, Strangers In The Night, Sweet Maria and The World We Knew. In 1974 “Mr. Invisible” received triumphant applause at his first two live concerts in London’s Royal Albert Hall. At the early age of 56, Bert Kaempfert died of a stroke on 21 June 1980. That his music and compositions have a firm place in international music life is emphasized by numerous posthumous awards. In June 1993 he was elected to “The Songwriters Hall Of Fame” in New York – the first German to receive this most prestigious of all international awards. Although I very much appreciate the "extended" version of this album, I wish Polydor had used the original Lp cover. Fans might not consider this to be an "original" album; it may be moved to another area of the discography later.